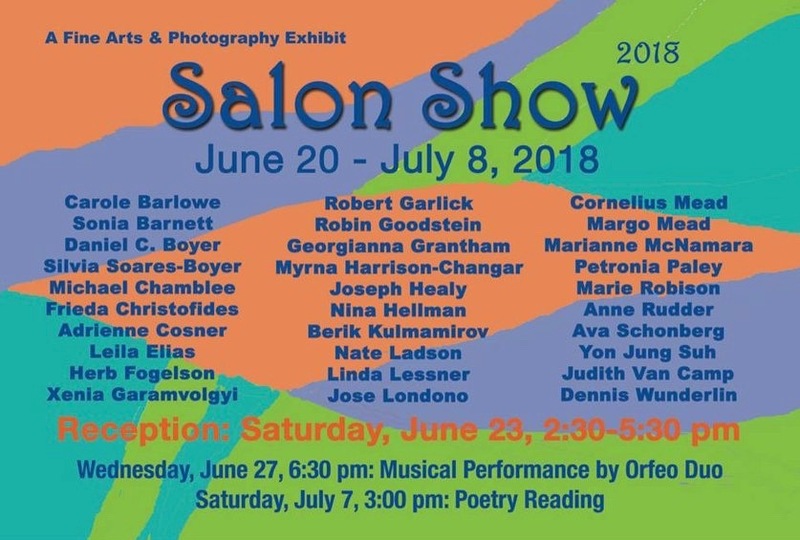 The West Side Arts Coalition presents the Salon Show, curated by Linda Lessner and Margo Mead. Opening Reception will be held on Saturday, June 23rd from 2:30-5:30pm. On Wednesday, June 27th at 6:30pm, musical performance by Orfeo Duo and on Saturday, July 7th at 3:00pm, poetry reading. The Salon Show will be on view from June 20th to July 8th at the West Side Arts Coalition located in the medium on Broadway at 96th Street. Gallery hours are Wednesday from 6-8pm and on Saturday and Sunday from Noon to 6pm. While you’re there, check out one of Kathy Ruttenberg’s art installations, presented by the Broadway Mall Association.